A good story amuses us; a great story allows us to fantasize and bend this world and the situations we find ourselves in, to allow us to clearly focus on the moral aspects of what’s happening. Hence, I consider it a privilege to be a small part of WFP. Every year, we are treated to some of the most challenging, unique and diverse perspectives from around the world. WFP is simply championing the cause of barebones storytelling for peace. My allegiance is not just because I crave a peaceful future, but also because writing liberated me from the clutches of my past, and allowed me to soar to a better future. 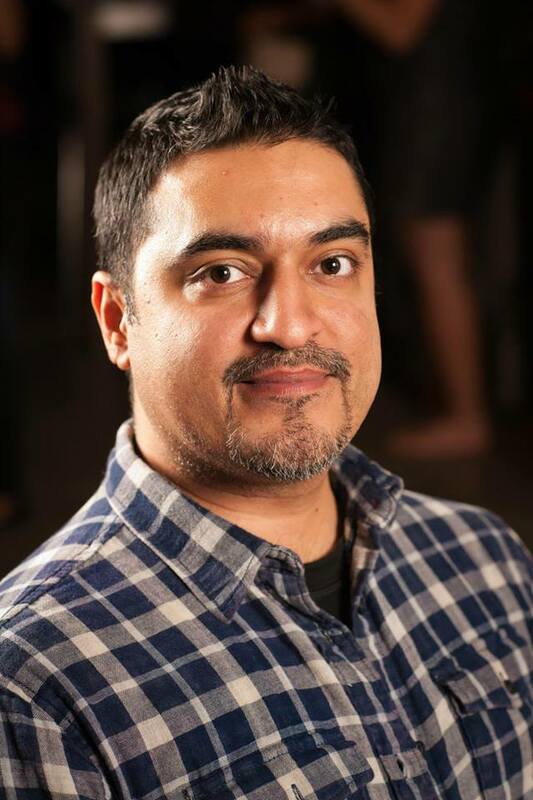 Azfar Rizvi is a proponent of social justice, and a driving force behind interfaith, cross-cultural and pedagogic initiatives across three continents. He is a Toronto based documentary filmmaker, Photographer, an academic and a cross-platform communications strategist. Originally from Karachi, Azfar experienced extremism in his early years after surviving violent ethnic cleansing first hand. The incidents shook him to the core and he started exploring reasons behind extremism through this writing; something that evolved from local dailies to covering systemic national issues for news and current affairs publications across Pakistan. Before transitioning into television news and documentaries, he took to presenting radio with the country’s first English radio network at the time. He was a popular TV morning show anchor in 2005 when Pakistan experienced its worst earthquake in history. He was the first journalist to reach the most inaccessible regions and produced ‘Earthquake Diaries’, a documentary series in concert with UNDP, UNHCR and Pakistan’s security forces. He sent daily updates and live reports for the morning show and organized a massive Eid carnival for several hundred children in the survivor tent city near the epicenter, once the town of Balakot. The series shed light on the magnitude of destruction and helped in garnering international relief efforts. Upon his return, Rizvi advocated for a sustained rehabilitation effort and produced another documentary series ‘Hope Floats’ to this effect. He was both loved and hated for his work, his critics accusing him of cherry picking facts while his supporters lauded him for his role in raising funds of over 15 million. 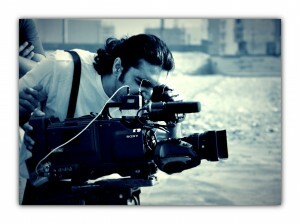 In 2006, he became a core team member of Pakistan’s first English news network. Covering stories from Benazir Bhutto’s assassination to ‘Operation Sunrise’, he managed a team of emerging producers and reporters while contributing to agenda and headline meetings. Later as a special projects producer, he launched Pakistan’s first first morning show which topped the ratings until it’s culmination. He directed and produced the daily two hour live show for over a year, introducing live outdoor episodes throughout the county. He is the first producer to secure permission and produce the show right from the volatile India-Pakistan Wagah border. He partnered with international agencies and produced policy altering documentaries on topics ranging from pedagogic practices in Pakistan from a British perspective to saving WWF’s bird conservatories from extinction. His documentary about firefighters was screened across 30 cities under a UN led program. The film received accolades and has highlighted the importance of life insurance and medial facilities for firefighters in Pakistan. He recently worked on a documentary with TED’s Karen Armstrong. His interest in communicating issues of social justice and change to diverse publics has recently resulted in a digital storytelling project focusing on stories of women empowerment and a series of educational animated shorts for under-privileged children. Besides serving as a multi-disciplinary instructor and a Jury member at media events, he has also pioneered Participatory Journalism and filmmaking courses at different universities. Rizvi is a mixed media artist with the United Nations Millennium Development Goals Five Project which harnesses the power of social media to increase community engagement in the fight to improve maternal health and reach MDG Five by 2015. His work was solicited by advocacy agencies and featured as awareness content on multiple platforms in the aftermath of the 2010 Floods-dubbed as ‘the worst floods in history’ by UN Secretary General Ban Ki-moon. He volunteers his expertise as a board member with a select few Toronto based capacity building and empowerment non-profit agencies. He is currently a member of Academy of Canadian Cinema & Television, and Documentary Organization of Canada.